View basket “Fox Rage Predator Knot Buffer Beads” has been added to your basket. SKU: N/A. 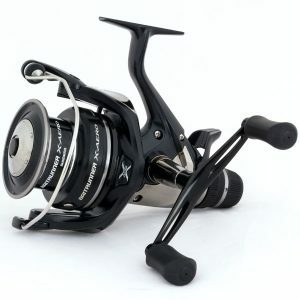 Categories: Pike and Predator Tackle, Ready Tied Rigs. 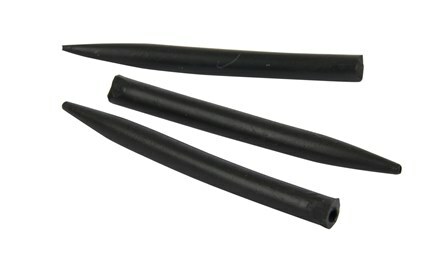 E-Sox Bait Traces are ideal for all live and dead­bait presentations. Each trace is 46cm (18in) long and made from strong and reli­able nylon-coated 34lb (15kg) Super Trace wire with Extra Strong Trebles. Each trace is fin­ished off neatly with Blood Red Crimp Sleeves on the trebles and a Camo Brown Crimp Sleeve on the swivel. 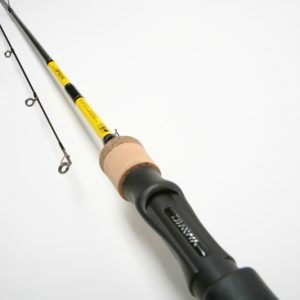 The size 4s have a gap of 11cm between trebles, making them ideal for bigger baits such as half mack­erel, her­ring, lamprey and larger sil­ver­fish baits from 16cm to 20cm (6in to 8in). The size 6s have a gap of 9cm between the trebles, making them ideal for medium sized baits from 13cm to 17cm (5in to 6.5in). 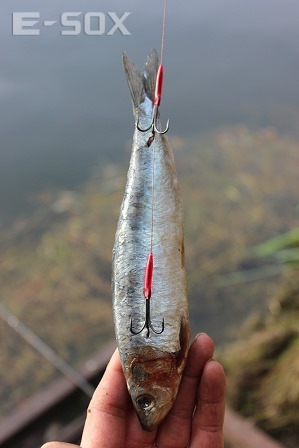 The size 8s have a gap of 7cm between the trebles, making them excel­lent for small baits from 10cm to 13cm (4in to 5in). 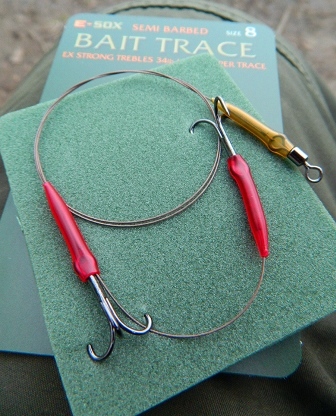 Bait Traces are avail­able in sizes 4, 6 and 8 and in a choice of Barbed or Semi Barbed.